The Russian Greek Catholic Church (Russian: Российская греко-католическая церковь, Rossiyskaya greko-katolicheskaya tserkov) is a Byzantine Rite church sui juris in full union with the Catholic Church. Historically it represents the first reunion of members of the Russian Orthodox Church with the Roman Catholic Church. It is now in full communion with and subject to the authority of the Pope as defined by Eastern canon law. Russian Catholics historically had their own episcopal hierarchy (the Russian Catholic Apostolic Exarchate of Russia and the Russian Catholic Apostolic Exarchate of Harbin, China), however the office is currently vacant; their few parishes are served by priests ordained in other Byzantine Catholic churches, former Orthodox priests, and Roman Catholic priests with bi-ritual faculties. In 1928, a second Apostolic Exarchate was set up, for the Russian Catholics in China, based in Harbin, the Russian Catholic Apostolic Exarchate of Harbin. With the religious freedom experienced after the fall of Communism, there were calls from the small number of Russian Catholics to appoint an Exarch to the long existing vacancy. Such a move would have been strongly objected to by the Russian Orthodox Church, causing the Holy See to not act out of ecumenical concerns. 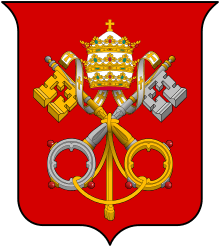 In 2004, however, the Vatican's hand was forced when a convocation of Russian Catholic priests in the territory of the vacant exarchate used their rights under canon law to elect a temporary administrator. 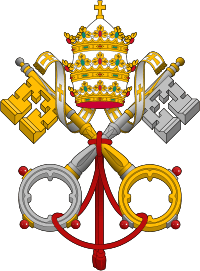 The Vatican then moved quickly to replace the temporary administrator with Bishop Joseph Werth, the Latin-rite Apostolic Administrator of Siberia, based in Novosibirsk. He was appointed by Pope John Paul II as Ordinary for all Eastern Catholics in the Russian Federation. As of 2010, five parishes have been registered with civil authorities in Siberia, while in Moscow two parishes and a pastoral center operate without official registration. There are also communities in Saint Petersburg and Obninsk. By 2013, there have been reports of 13 parishes and five pastoral points in Siberia with five parishes and three pastoral points in European Russia. The Ordinariate has minimal structure. A Byzantine priest serves as Secretary to the Ordinary. There is a priest coordinator for the parishes in Siberia and a liturgical commission and a catechetical commission. As of 2014, the two Exarchates of Russia and Harbin are still listed in the Annuario Pontificio as extant, but they have not yet been reconstituted, nor have new Russian-Rite bishops been appointed to head them. 1 2 Ronald Roberson. "Other Eastern Catholic Communities: Russians". Catholic Near East Welfare Association.